Phosphorus in our diet: A problem or a marker for a bad diet? 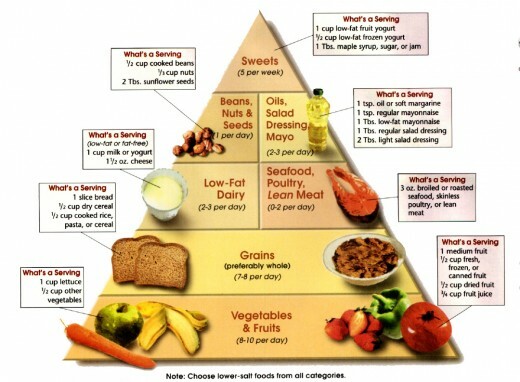 It is found in meats, nuts, seeds,, whole grains, seafood, and poultry. Additives in the form of phosphates are another form of phosphorus that we ingest. The inorganic form like this is readily absorbed. They are used as leavening agents, stabilizers, flavor enhancers, emulsifiers, and moisture binders in many food products. Sodas, in particular, Colas are sources of phosphates. Basically any processed food is generally filled with extra phosphorus. We need Phosphorus for energy metabolism, regulating calcium, genetic information, and cell maintenance. Too much phosphorus can increase the risk of cardiovascular events, bone loss, and kidney failure. The RDA is 700 mg a day. Amounts over 1400 mg a day are associated with increased risk of mortality even in healthy people. The type of food and it’s phosphorus load may play a role in the extent of problems. 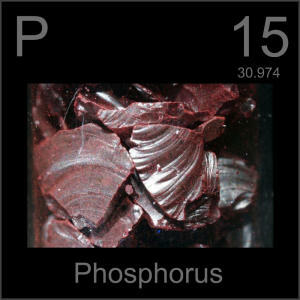 Phosphorus in an inorganic form is absorbed quickly and is present in processed food . This along with phosphorus present in meat products seems to pose an increased risk. In milk and dairy products, which have calcium and phosphorus in large amounts, there is not as much danger. In fact, dairy products lower high blood pressure. Colas contain a lot of phosphorus, and this may result in displacement of calcium in the body, resulting in low bone density and fractures. High phosphorus intake may increase risk for osteoporosis. A hormone, FGF-23 may be increased in patient who consume a lot of phosphorus. This hormone may cause cardiovascular problems such as calcification of the arteries and stiffening of the arteries. Excess phosphorus may be associated with cancer and type 2 diabetes risk. 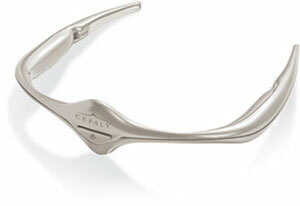 Cefaly: A new Migraine Prevention tool! The FDA has approved of the use of Cefaly (Cefaly technologies)to prevent episodic migraines in patients over 18 years old. Another device, the SpringTMS (eNeura) is approved for migraine prevention and treatment in patients that have migraines with auras. The SpringTMS devise is a transcranial magnetic stimulation device, different from the Cefaly. Simply attach a sticky electrode to your forehead and lower the headband, which has a pulse generator in it, and you are ready for your treatment. It stimulates the trigeminal nerve in the face and produces a tingling sensation. Each treatment lasts 20 minutes once a day and is relatively pain-free. There was a significant decrease in the number of migraine days per month by 50% (PREMICE trial). The more migraine headaches you have per month (especially if more than 6), the better the results for this treatment. In effect, you use less anti-migraine medications, but your headaches, when they do occur, are just as severe, but fewer in number per month. The device cannot be used if you have a pacemaker or implanted defibrillator or metallic devices in your head. Some patients complained of insomnia. This treatment seems to work well in half of all patients who tried it. As more states report clusters of severe cold-like illnesses, some of which have been linked to EV-D68, it seems apparent that cases and locations of the illness will keep mounting. There is no vaccination or antibiotic to treat a virus, and just because you have a cough, nasal congestion, or signs of an upper respiratory illness, it does not mean that you have the EV-D68. Don’t get in a panic, even if you do. 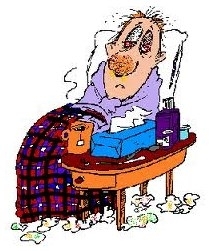 Treatment plans if you get cold-like symptoms : see your doctor/ER if you feel short of breath or have severe symptoms. Avoid close contact and wash your hands frequently. Take in plenty of liquids. Tylenol and ibuprofen for fevers and aches. Doctors will basically assess you in the Emergency Department for possible other diseases such as pneumonia, bronchitis, or worsening asthma. Bacteria are treatable, but most viral infections require only supportive care. Doctors will assure your hydration status, administer nebulizers for bronchospasm, and use imaging such as a chest xray to look for pneumonia. Severe symptoms such as dehydration and persistent vomiting, low oxygen saturation in your blood stream requiring oxygen, or another severe diagnosis may necessitate admission to a hospital. As many children have never had exposure to this infection, immunity will be low, hence, more severe presentations. Don’t forget to get your Flu vaccine this year! What is this Enterovirus D68 (EV-D68)? 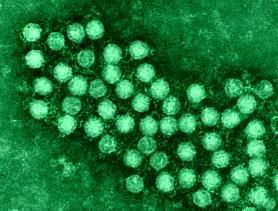 Enteroviruses are related to polioviruses. There are many flavors of Enteroviruses, which generally cause rash, mouth sores, conjunctivitis, and sometimes more severe infections. Since doctors generally don’t test for viruses in their patients, it is hard to tell how common the EV-D68 infection is. Some people may be very sick while other show no symptoms. There are a broad range of presentations. This EV-D68 infection is acting like a common cold with a twist. It mostly causes runny nose, fever, muscle aches, and cough. However, occasionally it has led to severe respiratory failure. As of September 15, states which have had the illness present included Colorado, Illinois, Iowa, Kansas, Kentucky, and Missouri. It may be coming to a town near you soon. The National Enterovirus Surveillance System through the CDC tracks such viral infections, but the disease is not reportable, so it will be difficult to assess it’s true impact and presence. Since EV-D68 is acting like a common cold, the usual precautions should be taken among family members and coworkers with any respiratory illness: Don’t share utensils, avoid close contact, and wash your hands frequently. Stay away from sick people, especially if they have cancer, emphysema, or a transplant. Pregnant women and small infants should stay away from people with respiratory illnesses. In all, this infection will pass through the communities in the East and Mid-West as schools have started and people are in close contact. This will not result in any large scale catastrophes, but occasionally some patients, primarily in the 6 month to 16 year old range, will demonstrate more severe symptoms. There is no vaccine available and no specific treatment other than measures to deal with associated conditions, such as wheezing or worsening asthma and fever. Antibiotics do not help. Good hygiene is important to prevent spread of the virus.